The intricate detail and customized glamor of this Two Disc Initial Necklace is specially designed to showcase your true personality. 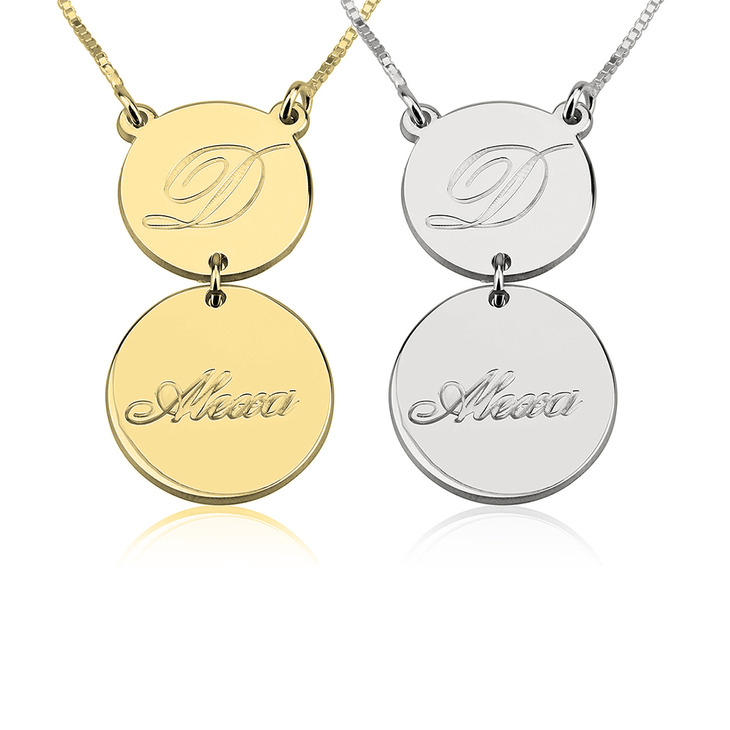 Created from the finest sterling silver, one smaller disc is personalized with any initial in a flowing script font. 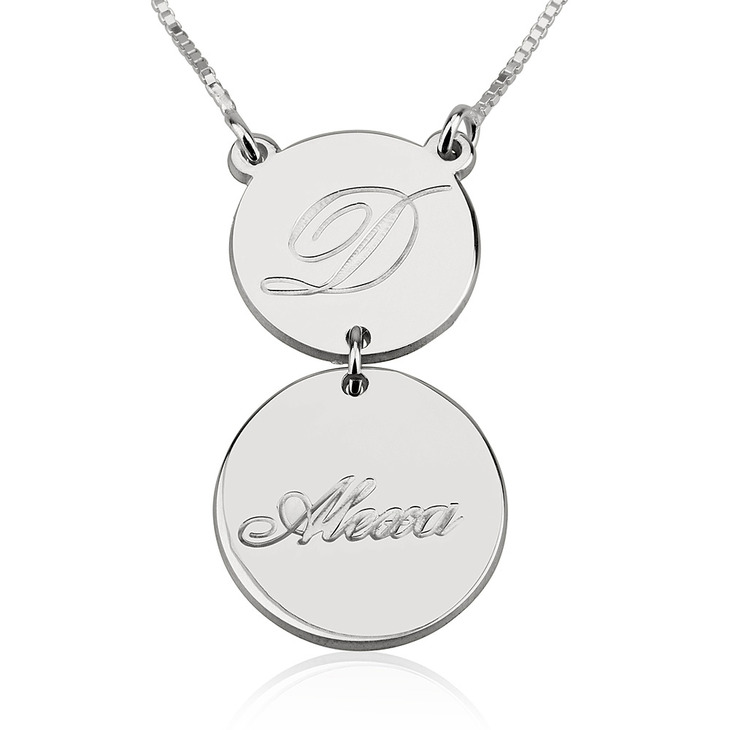 Hanging beneath is a larger disc, beautifully engraved with any name or word of your choosing. 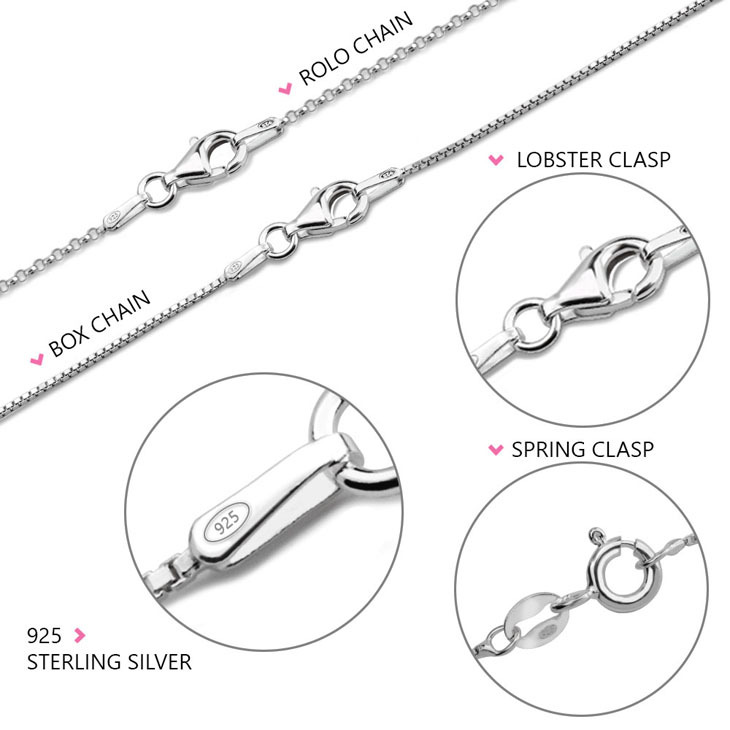 Available in 24K gold and rose gold plating as well, you're bound to fall in love with this elegant and understated piece that will take your style to the next level. Order Now! 16mm x 31mm / 0.6" x 1.2"